All three of the most highly cited scientific papers in the world published in 2011 were from an astrophysics space mission project led by a Johns Hopkins University scientist, according to Thomson Reuters’ Science Watch. The papers cite results from the Wilkinson Microwave Anisotropy Probe (WMAP), a NASA spacecraft launched in 2001 that has revolutionized our knowledge of the history, composition, and geometry of the universe. 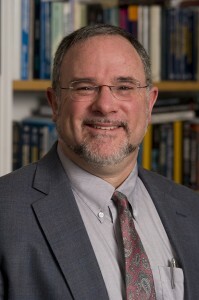 The WMAP mission is led by Charles L. Bennett, Alumni Centennial Professor of Physics and Astronomy and Johns Hopkins Gilman Scholar at the Henry A. Rowland Department of Physics and Astronomy at The Johns Hopkins University. This is not the first time that WMAP results were among the most cited scientific papers in the world across all scientific disciplines, not just in physics and astronomy. It also happened in 2003, 2007, and 2009. This time WMAP captured the first, second, and third spots in the rankings in a single year – a science trifecta. “These rankings are evidence of the great impact and reach of the physics and astronomy faculty here at Johns Hopkins,” said Daniel Reich, chairman of the Henry A. Rowland Department of Physics and Astronomy at Johns Hopkins. Bennett came to Johns Hopkins on Jan. 1, 2005 from his previous position as a senior scientist for experimental cosmology at NASA’s Goddard Space Flight Center. In 2010, Bennett’s work on WMAP made him a co-winner of the prestigious Shaw Prize. Bennett won the Comstock Prize in Physics in 2009, the Harvey Prize in 2006 and the Henry Draper Medal of the National Academy of Sciences in 2005. In 2006, he shared the Peter Gruber Foundation’s Cosmology Prize with Nobel laureate John Mather and the Cosmic Background Explorer (COBE) team. Bennett was elected to the American Academy of Arts and Sciences in 2004 and the National Academy of Sciences in 2005. He received two NASA Exceptional Achievement medals and a NASA Outstanding Leadership medal.